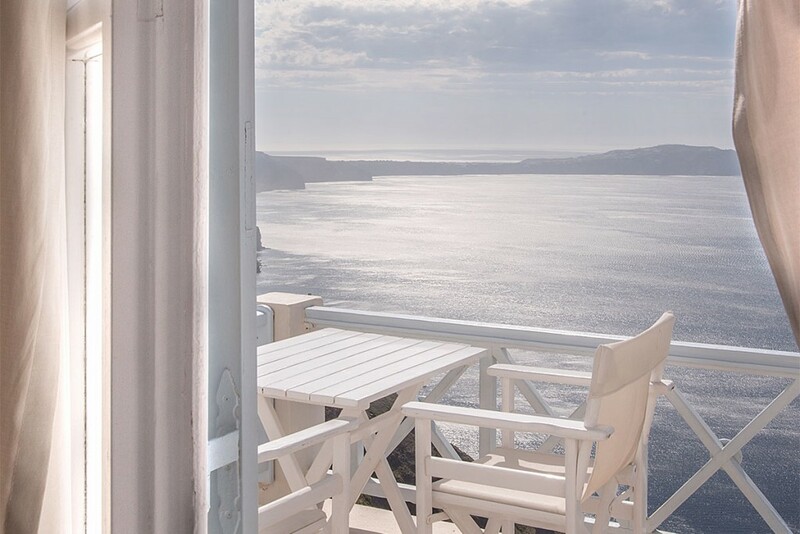 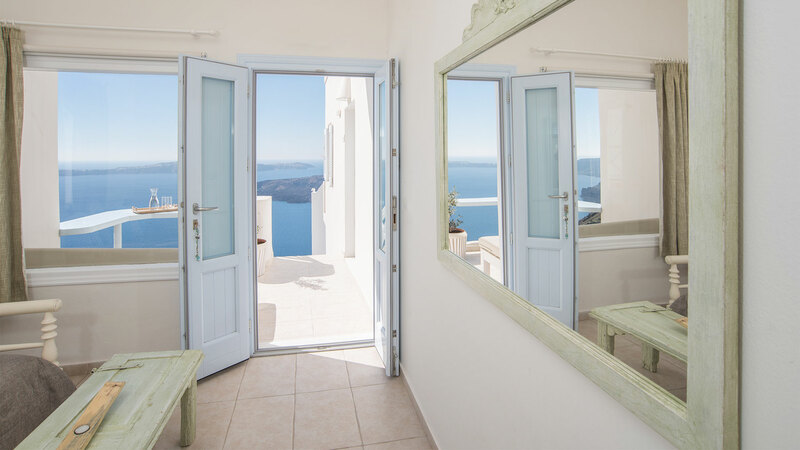 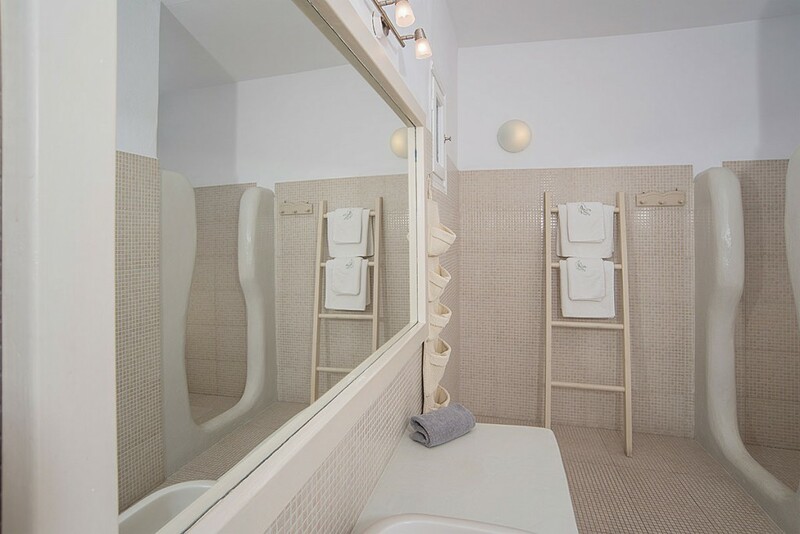 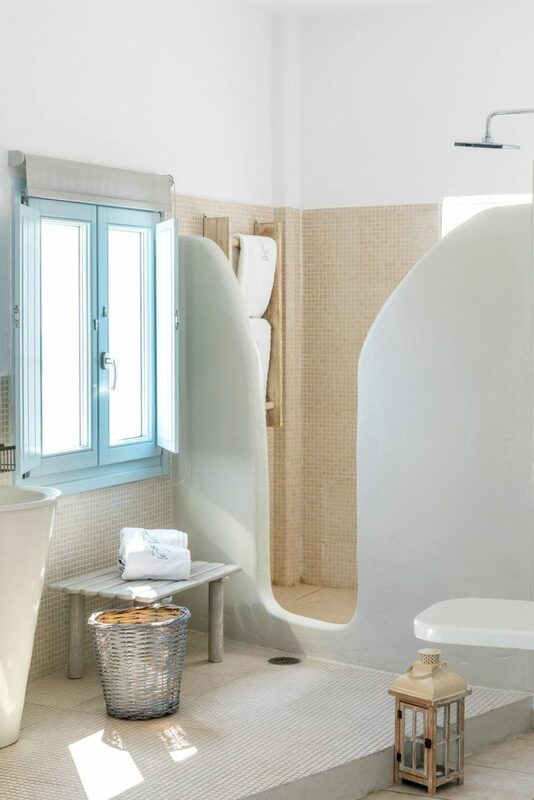 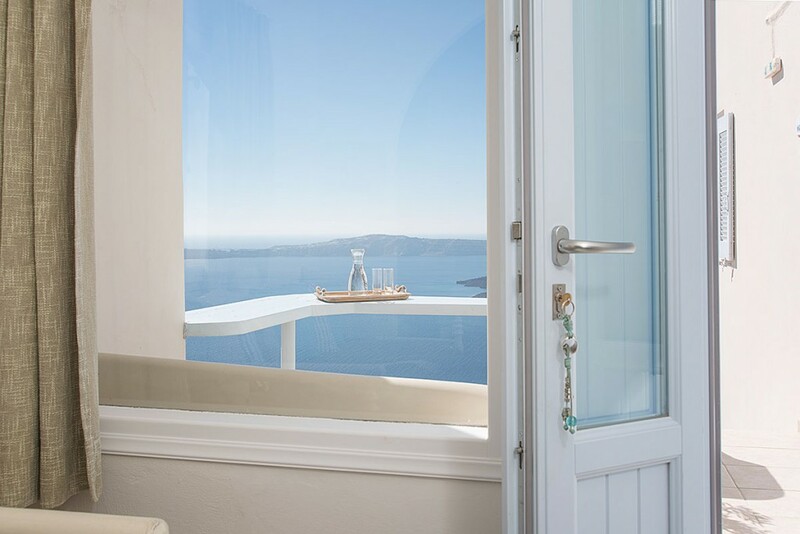 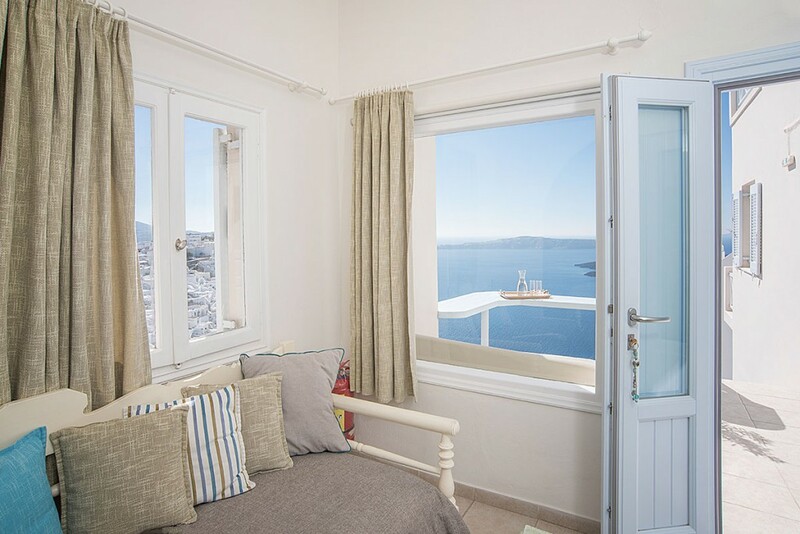 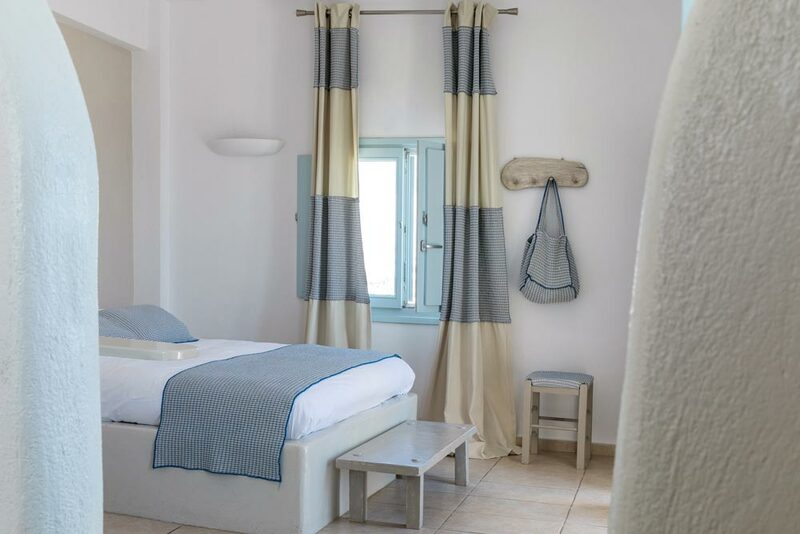 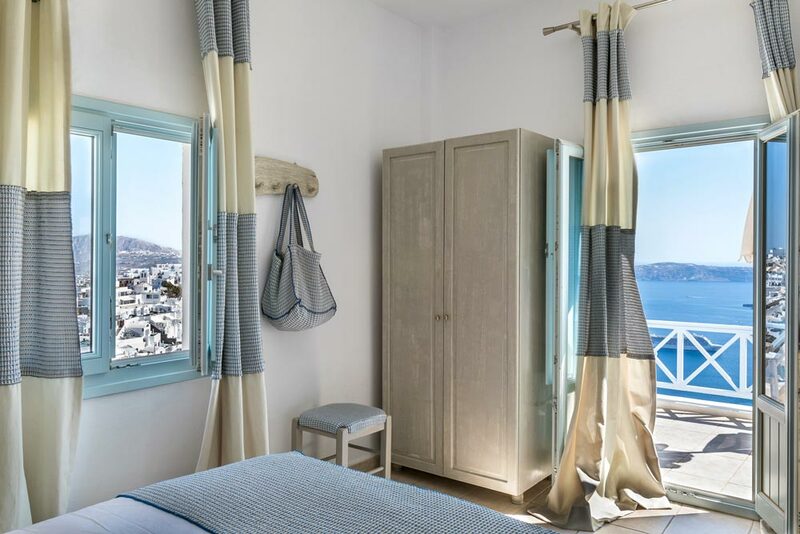 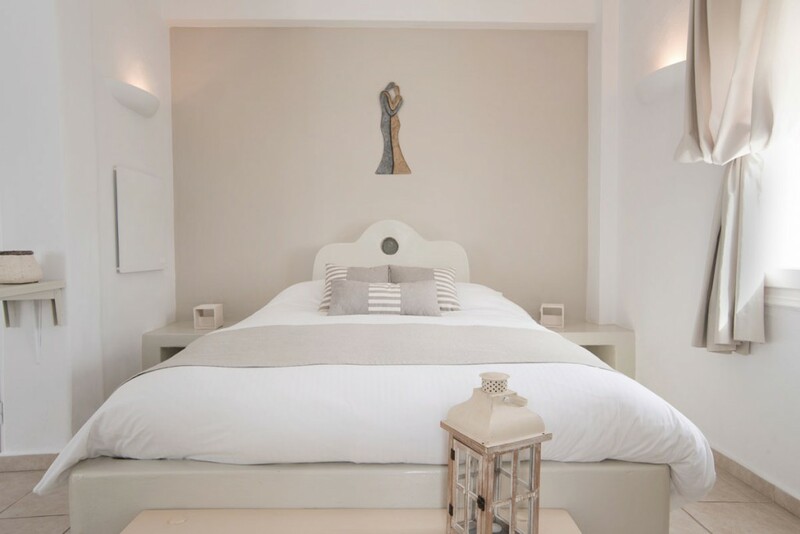 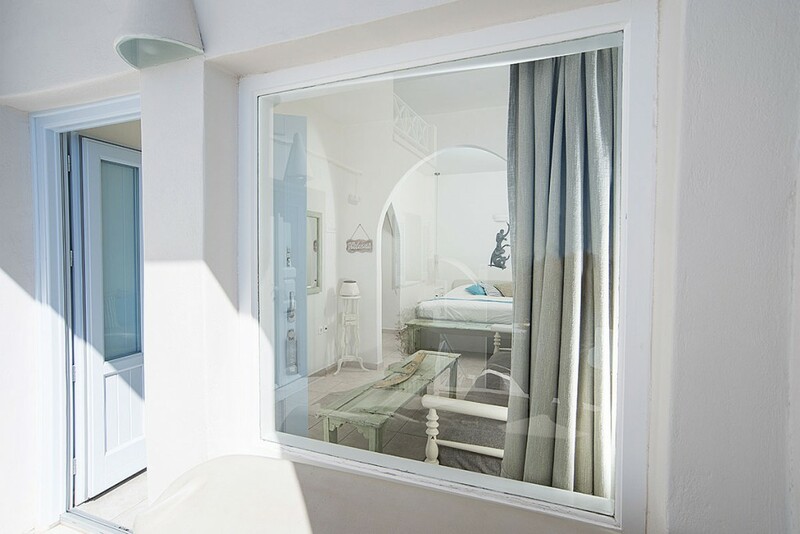 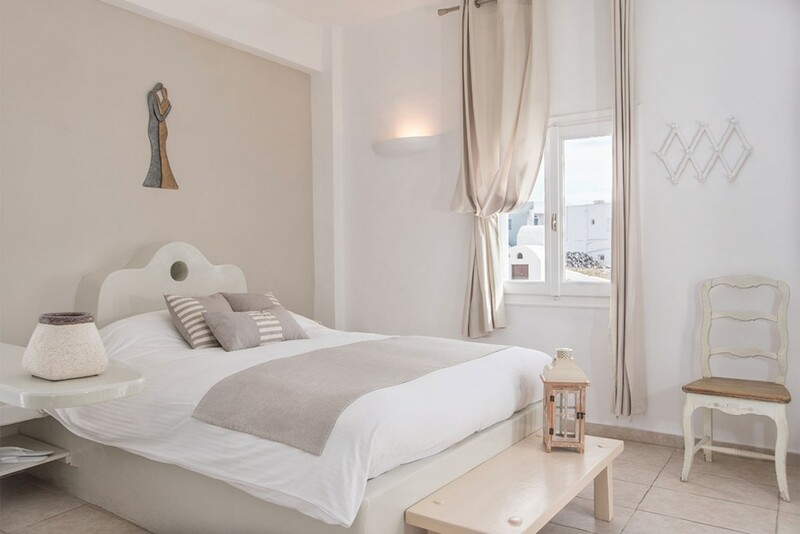 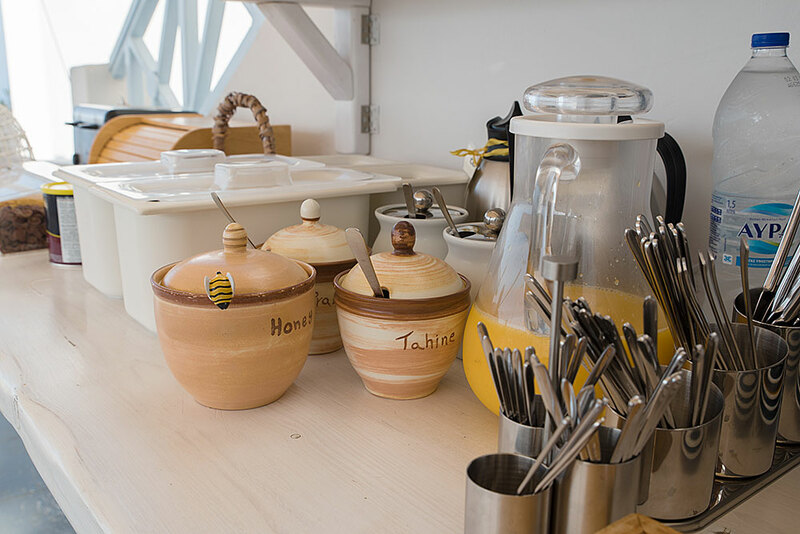 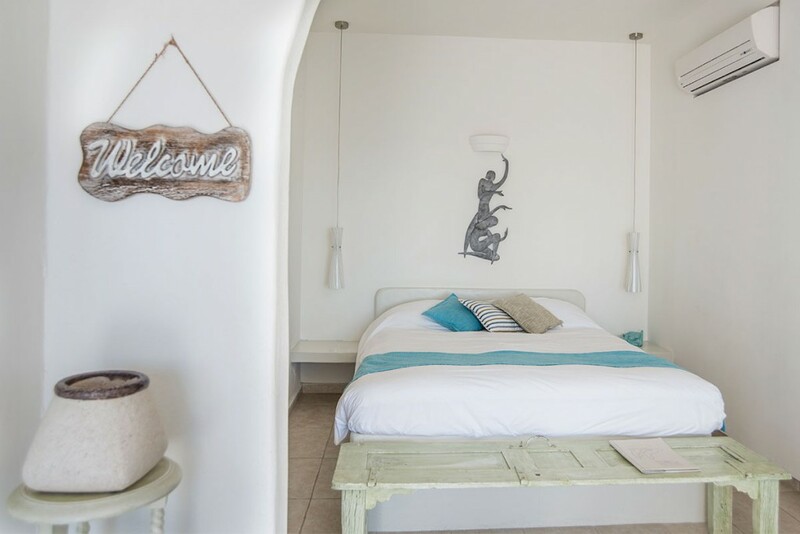 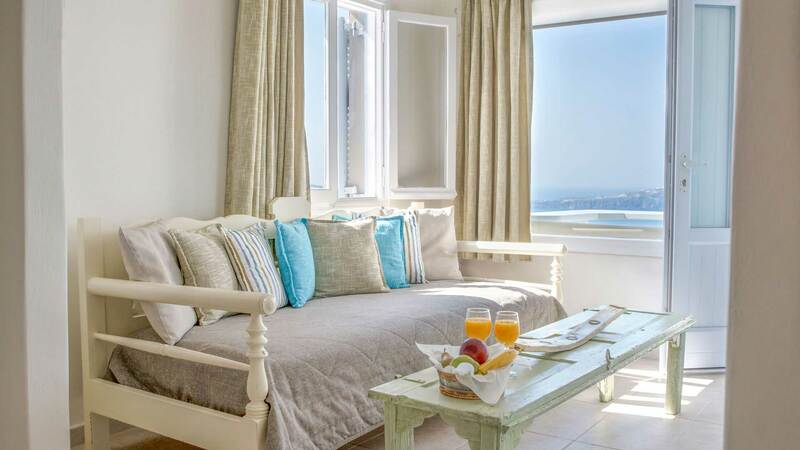 These open space romantic suites in Santorini include a bedroom with a double bed, a private bathroom and a private balcony with an amazing view to the Caldera, the volcano, the Aegean Sea and the village of Firostefani! 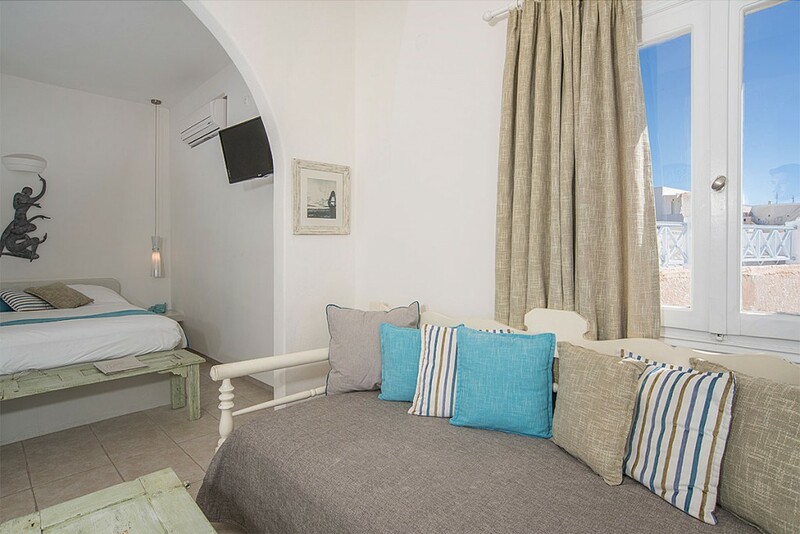 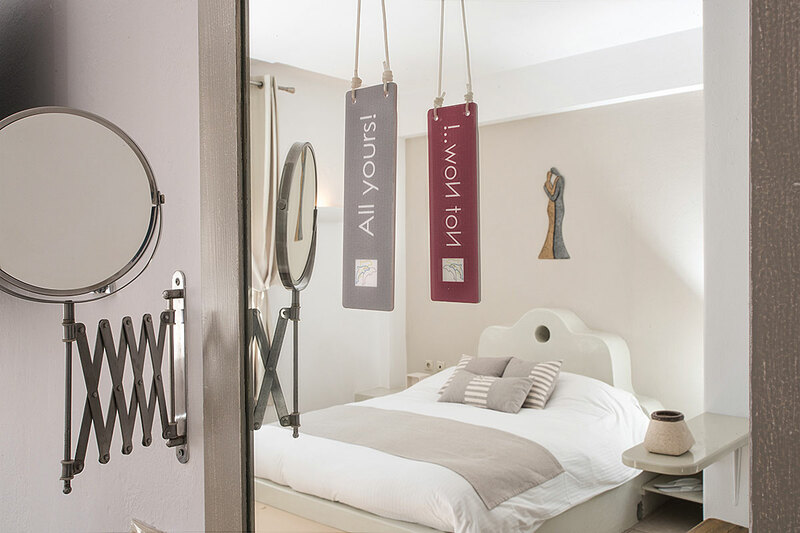 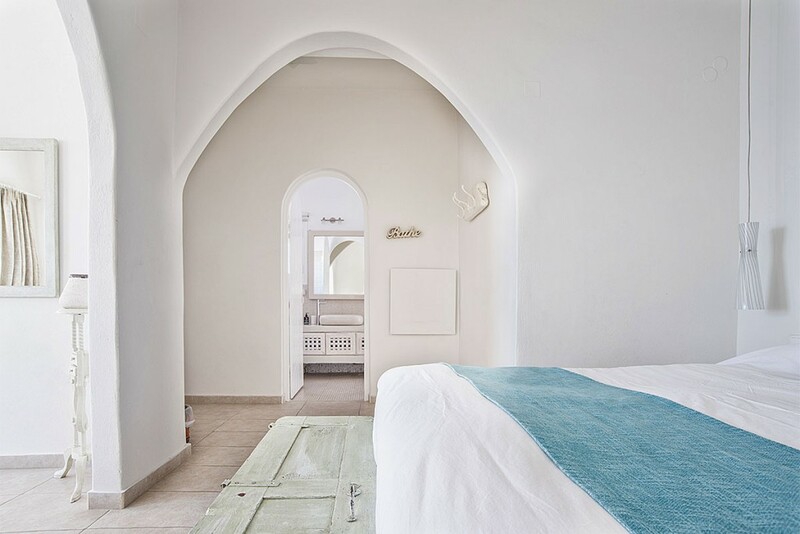 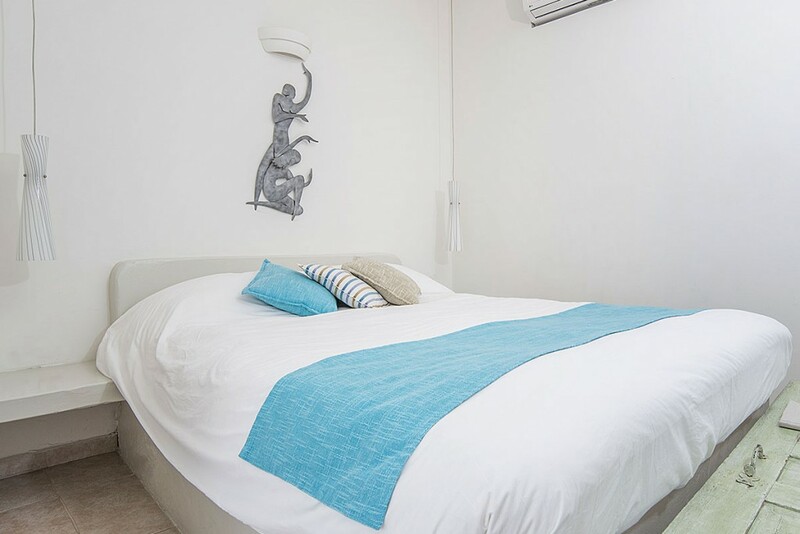 In 2013, romantic suites were tastefully renovated and elegantly decorated to offer luxurious accommodation to our guests. 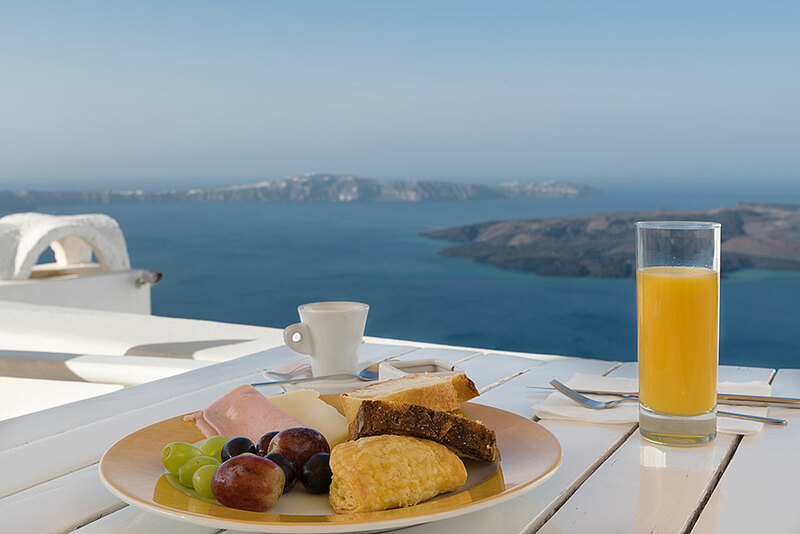 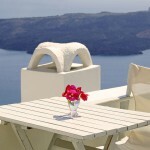 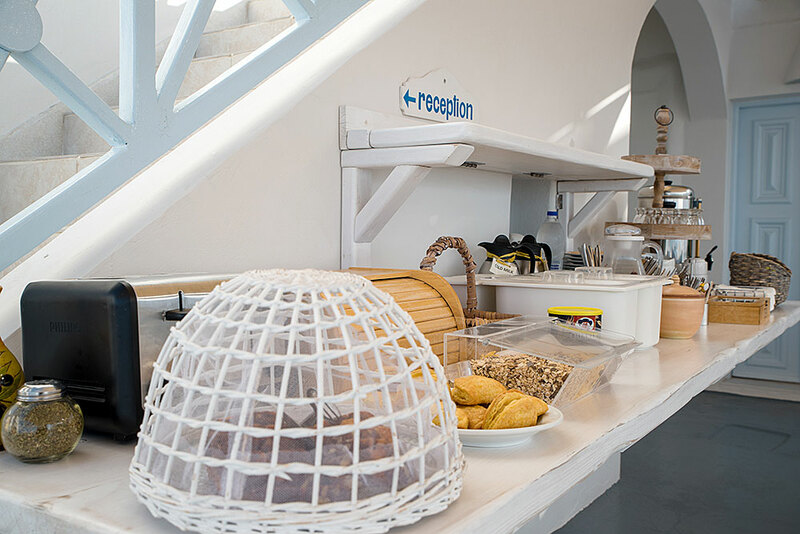 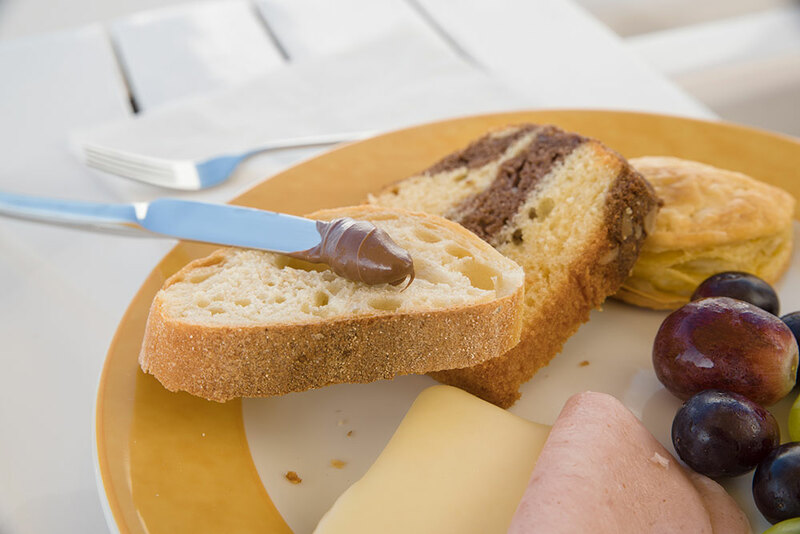 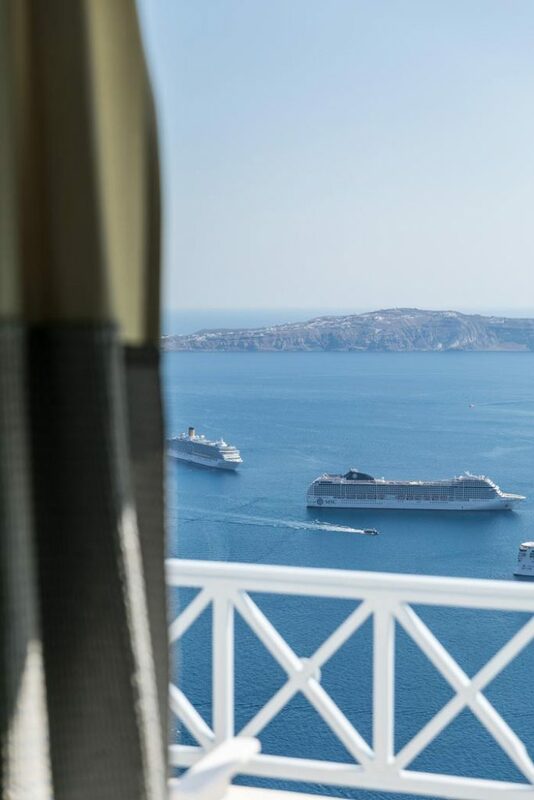 Ideal to enjoy honeymoon in Santorini, magic sunset view on the volcano from your balcony or even lying on the bed!